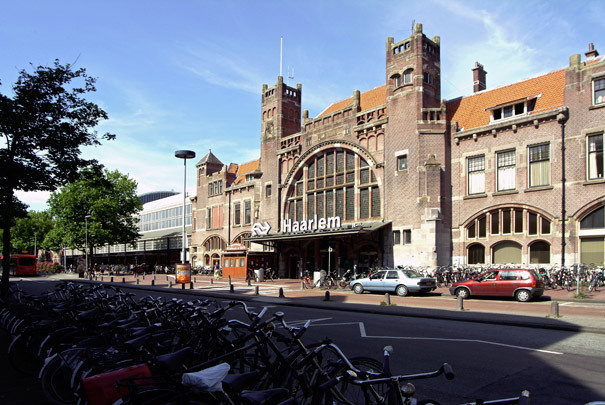 When the level of the tracks were raised Haarlem was provided with a new railway station, the third on this site. The building's stand-out features are its luxurious design and magnificent decorations including tiled murals, sandstone ornamentation, wood-carvings and lettering, in particular at the waiting-rooms (first, second and third class) on the central platform. The decorations which include plant motifs betray the strong influence of Art Nouveau. The imposing steel roof is part of the architectural design.